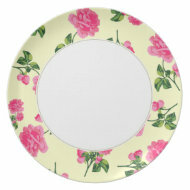 flowers - Oh So Girly! 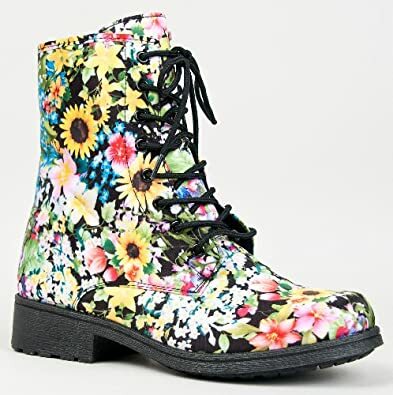 I know these probably have been around for a while, but I only discovered them recently: Floral Combat Boots! The ultimate way to make an otherwise not-so-girly shoe, abundantly girly! 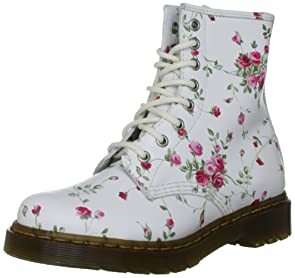 From what I’ve read from reviews, it seems that Dr Martens make some of the highest quality ones. Pretty! Right? 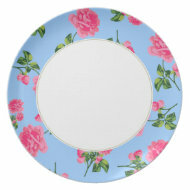 I think it would look awesome with a Victorian style dress or skirt, like with shabby chic lace style outfit. Or maybe with cute denim shorts and a one-color top, to bring the main focus of interest to the busy pattern on your feet. 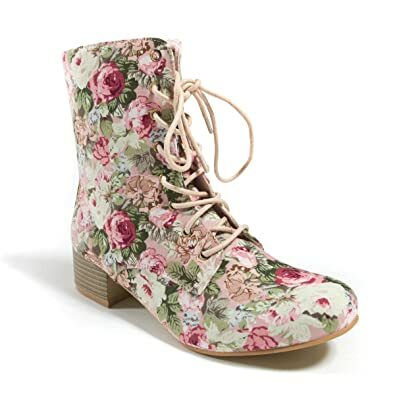 What do you think of floral combat boots? Let me know in the comment section below! 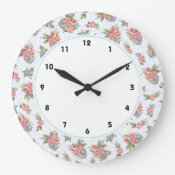 Floral clocks can add a touch of feminine class and style to a room. 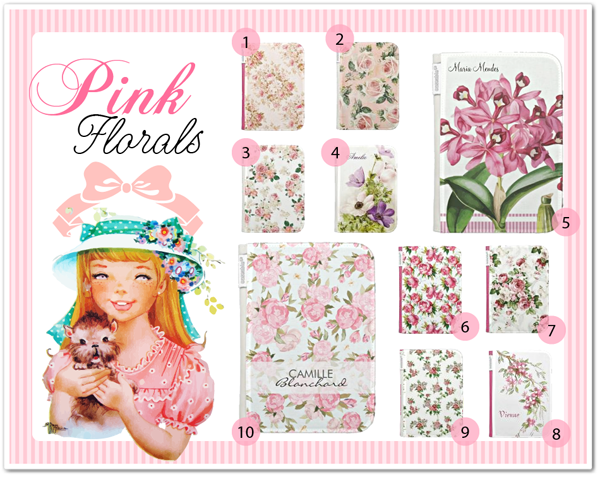 Whether you are looking for a vintage, shabby chic floral wall clock or a more modern / contemporary floral clock, this article presents a huge range of all these types of floral clocks and more. 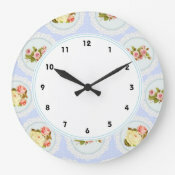 Below you’ll find a selection of my favorite picks of floral clocks, gathered from the wonderful sites Zazzle.com and Amazon.com . 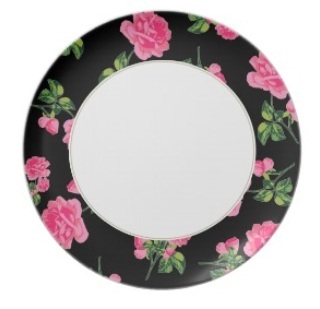 For readers who are hearing of Zazzle here for the first time, it is a fantastic website with a huge range of designs for a lot of products. Although it is an American website, they ship internationally and allow you to view the prices for all products in your country’s currency. To view it in your country’s coin, click through on the clock design you like below and then change the URL from “zazzle.com/etc” to your country’s suffix, e.g. 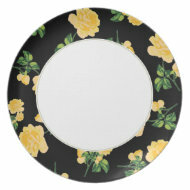 “zazzle.co.uk/etc” for UK visitors. 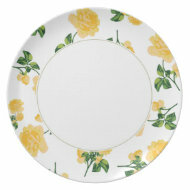 I hope you enjoy browsing and perhaps even find something to suit your taste here! As April rolls round and it’s officially Spring, I thought I’d share this article with you of beautiful spring flower field photos! 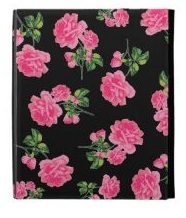 The new Zazzle Kindle Cases are great to show your girly style while protecting your Kindle from the bumps and bruises of daily use. Wrapped with a water-resistant fabric exterior and super-soft suede interior, this case has a hardcover bound book style design that is tailor made to look great in the home or office. Just wanted to share with you because I was so happy with how they came out! 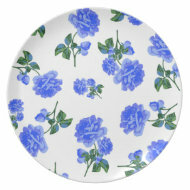 :) I can totally imagine these floral plates being used at a dinner party or a summery garden party! You can see the whole selection of flowery plates I created here: Rose plates. 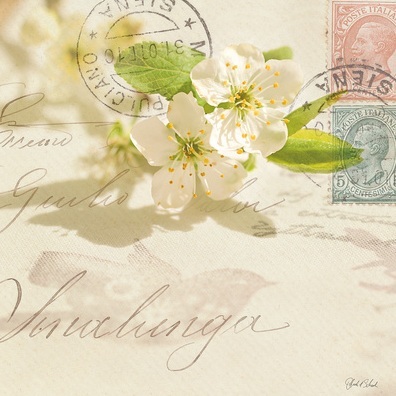 Today I discovered the photographer Deborah Schenck who creates artistic compositions of sun-streamed scenes with vintage letters, stamps and flowers. I think it is the way the sunlight dances through these images together with the soft feminine colors and balanced compositions which I like so much about these images. Every day I enjoy finding a new talented individual who creates beautiful things. Today, I discovered the artist Pamela Gladding who creates stylish flower paintings amongst other beautiful paintings. You can buy it From Art.com. 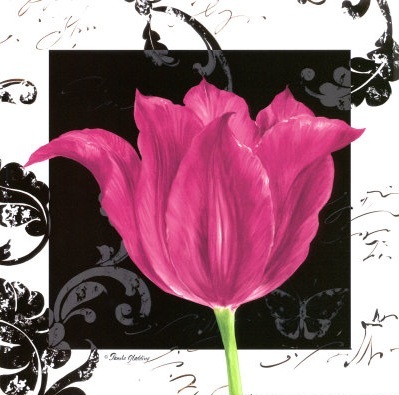 I think that this hot pink tulip painting would look beautiful in a girl’s bedroom with a contemporary white, black and pink color scheme!